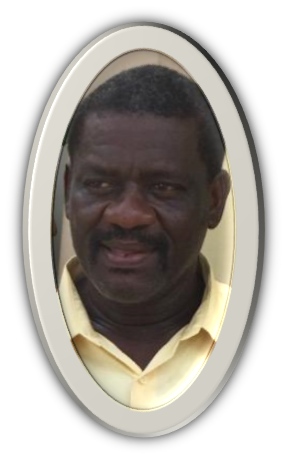 Michael Lee Ratliff, 61, was born on April 12, 1957 to the late Charlie Ratliff and Nettie Lee Hodo in Corinth, MS. He departed this life on April 4, 2019 at North Mississippi Medical Center in Tupelo, MS.
At the age of two, he came to live with Bilbo and Mattie Horston Prather of Tiplersville, MS. He attended the Ruckersville School System and later attended Falkner School System. At an early age he joined the Bethlehem Missionary Baptist Church. He worked at several factories in Tippah County. He loved working outside and enjoyed his grandchildren. He leaves to cherish his memories: his wife of forty years, Stephanie Ratliff; four sons: Delano (Sharon) Alexander of Gulfport, MS, Shawn Ratliff, Quinton Ratliff, and Tristan Ratliff all of Tiplersville, MS; nine grandchildren: Demario, Deshawn, Keshawn, Dashonna, Destiny, Matthew, Kristan, Dakari, and Ayceson; four brothers: Roy Ratliff, Jerry (Noddie) Ratliff, James (Ollie) Ratliff all of Cleveland, Ohio and Charles (Helen) Ratliff, Jr. of Ripley, MS; sister, Shirley Jean Prather of North Carolina; and mother-in-law, Jurdine Alexander. Visitation will be held Thursday, April 11, 2019 from 12:00 noon- 6:00 pm at Foster and Son Funeral Home in Ripley, MS. Service will be held Friday, April 12, 2019 at 2:00 pm at Bethlehem MBC in Falkner, MS. The body will lie in state one hour prior to service. Interment will follow at Ruckersville Cemetery in Falkner, MS. To view and sign the guest registry, please visit www.fosterandsonfuneralhome.com.